Poor nutrition and obesity are at epidemic proportions, and people are working more hours. These two facts are supposed to shock you, but more than likely they don’t. We’ve all read, seen and heard that we need to eat healthier. However, due to ever increasing responsibilities, many people are grabbing fast food and vending machine snacks to get their daily nutrition. You can fight back without it taking extra time! 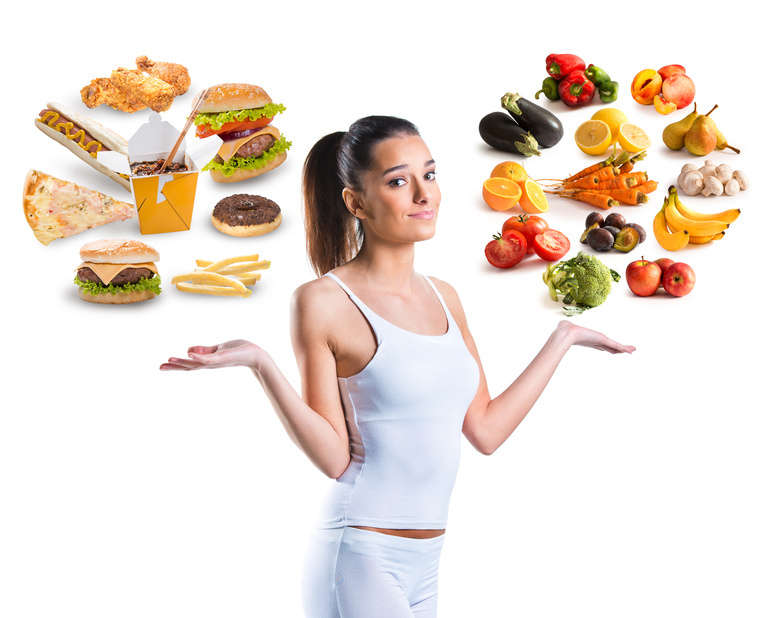 By pre-planning, people can decrease their fat and calories while increasing their nutrition. First, don’t wait until your stomach is rumbling to look for food. Eating before hunger pangs attack causes you to eat less, increases your metabolism and leaves you more satisfied. That does not mean hit up the vending machine for a pack of donuts or the drive-thru for an order of greasy fries. Keep healthy foods in the fridge, car, your desk or lunch bag to save your time, health and money. Before you put away the groceries, start preparing your meals. Wash and cut vegetables, pre-chop onions, pickles, garlic, celery and anything else you use often. This will take 15-20 minutes, but I sat in line for 15 minutes waiting for a hamburger yesterday. Boil eggs for breakfast while you are getting dressed or have your cereal bowl out the night before to remind you to have a healthy breakfast. Make lunches the night before if your mornings are rushed. Double dinner recipes and divide and freeze them in individual lunch or dinner sizes for those hectic days when everyone is on different schedules. Keep nutritious snacks in the car for busy days when the drive-thru tempts you. Post a list of nutritious and healthy meals and snacks on the inside of your pantry door to remind you of what’s available. Carry pre-cut and washed broccoli, carrots, celery, green peppers, cauliflower, zucchini and any other veggies you like. Keep individual soups and tuna in your desk for those times you don’t pack or can’t leave for lunch. Pretzels, graham crackers, nuts, raisins, applesauce, pickles, popcorn and rice cakes are healthier alternatives which can satisfy those salty, crunchy, sweet or chewy cravings. When you must eat out, decide before you arrive what you will eat. Remember grilled chicken, salad with dressing on the side, broth-based soups, recipes without cream sauces and even fresh fruit will be healthy and good. It just takes a little discipline, planning and preparation to make time-wise healthy decisions, but you’re worth it. Are you or your child ready to begin enjoying all the healthy benefits of martial arts? Great! Give us a call right now at 757-410-4999 to find out how you can get started in one of our incredible programs today! Join the fun at King Tiger Martial Arts where you’ll experience expert training in a fun, positive and supportive environment suitable for everyone in your family. Or simply fill out the information box and take advantage of our Trial Membership!